The duo release a mid-tempo cut. 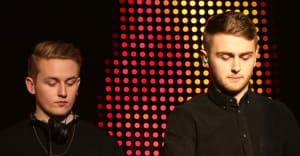 Disclosure's Caracal is due out September 25. So far, they've revealed four songs from their sophomore album: "Bang That," "Holding On," with Gregory Porter, "Moving Mountains," featuring Brendan Riley, and "Omen," another collaboration with their trusty partner Sam Smith. Today the Lawrence brothers unveiled their forthcoming record's fifth track, "Willing & Able." For this tune, they recruited the singer Kwabs. "Willing & Able" is content to cruise at medium speed; it's built more for lounging than for dancing. Kwabs' lyrics explore total commitment: if I'm gonna fall in/ I'm gonna fall my all in. Listen above, and check out the full Caracal track list. You can also read FADER's GEN F on the duo.